If you are looking for an expert home or commercial building contractor in Indianola, IA, Greiner Buildings is the name to call. We have been serving customers in the Midwest with professional contracting services for over 25 years. 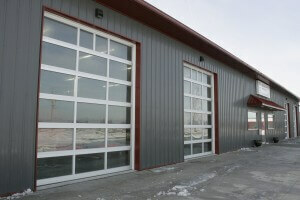 Greiner Buildings specializes in custom made buildings for your home, farm, or business. Our company has earned many awards over the years for our agricultural buildings, hobby shops, residential living quarters, and more. Greiner Buildings is known for our specialty product, the Shome™. This hobby shop and home combination provides the perfect solution for modern day country living. With so many people working out of the home, it seemed obvious to us to provide a building that functioned as a hobby shop and living space all in one. If you are looking to install a hoop building on your Indianola, IA property, we can help you with that as well. Greiner Buildings is a certified dealer of Span-Tech® hoop buildings as well as Star Building Systems® steel frame structures. We are your most trusted and experienced building enterprise in the Des Moines area including Indianola. Give us a call today to get started with your free quote.